The Bellingham Bells are excited to announce the addition of Teegarden to the 2017 coaching staff. The Bellingham Bells are excited to announce Tom Prizeman will return as the voice of the Bells for the 2017 season. The Bellingham Bells are excited to announce the addition of three non-league contests to their 2017 schedule, the team announced today. The Bellingham Bells are excited to announce the release of the 2017 West Coast League schedule. It's been two years since the 2014 Bellingham Bells were crowned WCL Champions. Where are they now? Find out in this update featuring members of the 2014 championship team. Take our 2016 Fan Experience Survey! We want to hear your thoughts! Take our 2016 Fan Experience Survey and be entered to win a ten pack of tickets for the 2017 season. Six Bellingham Bells have been named among the top prospects in the West Coast League by Perfect Game, the organization announced today. Baseball America has named Bells pitcher Jared Horn the number one prospect in the West Coast League for summer 2016, the organization announced today. Greg Goetz has been named head coach of the Bellingham Bells, the team announced today. Sam Hellinger was named to the 2016 Perfect Game Summer Collegiate All-American First Team, the organization announced today. Hellinger was one of two WCL selections to be included on the first-team, and one of four WCL selections overall. Hellinger, a senior RHP from Gonzaga University, was spectacular for the Bells during the 2016 season, finishing the summer campaign with a combined .50 ERA for all games played (regular season, non-league and playoff appearances). Hellinger picked up 15 saves in 36.1 innings pitched with only 10 walks issued. Hellinger was also named to the West Coast League All-League First Team at the conclusion of the 2016 season. "We are extremely proud of Sam," Bells' general manager Stephanie Morrell said. "He is certainly very deserving. Sam is a true competitor, a talented pitcher and a great teammate. We know he has great things yet to come in his future and look forward to watching his progress during his senior season at Gonzaga." For the entire list of 2016 Perfect Game Summer Collegiate All-American Honorees, click here. First-year manager Mike Gange, who led the 2016 Bells to a West Coast League championship appearance and a North Division title, has informed the team he will not return for the 2017 season. Gange, who previously served as a graduate assistant coach with the University of Washington, has accepted a full-time assistant coach and recruiting coordinator position with Pacific University in Forest Grove, Ore.
Gange joined the Bells as an assistant on Jeff James’ staff in 2014. Upon James’ departure for the 2016 season, Gange was named manager of the Bells. During his time with the Bells, the team qualified for the playoffs three consecutive years, advancing to the championship series two of three years (2014, 2016) and winning one WCL title (2014). “It has been a pleasure to work with Mike over the last three seasons,” Bells’ general manager Stephanie Morrell said. “Coach Gange's knowledge of the game and desire to help his players improve helped our team achieve a high level of on-field success during his time here. Beyond that, Mike’s high character and passion for helping young athletes develop into better players and people made him a perfect fit for our organization. While we are sad to see him go, we are thrilled for him to have this new and exciting opportunity. We wish him all the best." Moving forward, pitching coach & recruiting coordinator Jim Clem will continue to lead the Bells’ recruiting & coaching efforts and will work closely with the Bells’ front office during the off-season to immediately identify potential head coaching candidates for the 2017 season. The Bellingham Bells came up two runs short of their final goal. A month ago Dean Lawson couldn’t imagine himself playing at Goss Stadium in Corvallis, Oregon on the campus of Oregon State University. Sixteen Bellingham Bells were named to 2016 All-West Coast League teams, WCL president Donnie Marbut announced today. The Bells lost to Corvallis in the first game of the three game WCL championship series Saturday by a score of 4-0. The Bellingham Bells are pleased to announce that Bellingham will host a championship playoff game at Joe Martin Field on Saturday, August 13 at 7:05 p.m.
18-year-old Chase Strumpf had two homeruns in his first two at bats in his first ever road playoff game. As the dust settles from the playoff race and the 2016 regular season has come to a close, Shane Hanon finds himself atop the WCL in batting average, standing alone as the West Coast League Batting Champion. The Bells were able to win the first game of their division series against the Victoria HarbourCats Tuesday night by a score of 3-2. The Bellingham Bells (32-22) mounted a large surge to defeat the Wenatchee AppleSox (19-35) 7-6 at Paul Thomas Field in Wenatchee Sunday night. The Bellingham Bells (31-22) fell to the Wenatchee AppleSox (19-34) 9-6 at Paul Thomas Field in Wenatchee Saturday night. The Bellingham Bells clinched their playoff appearance in the middle of the seventh inning. A pitcher’s duel broke out at Joe Martin Field Wednesday night, but the Bells emerged victorious by a score of 2-1. The Bells pitching and defense came to play in their 4-1 win over the Kelowna Falcons Tuesday night. The Bells jumped out to an early lead Monday night and it carried them to a 5-3 victory over the Kelowna Falcons. The Bells lost to the Victoria HarbourCats 9-2 Sunday afternoon. The Bells fought the HarbourCats all night and emerged with a 4-3 victory on Saturday night. The Bells beat the Victoria HarbourCats by a score of 5-2 on Friday night. The Bellingham Bells (25-20) used three runs in the first inning to outlast the Cowlitz Black Bears (21-24) 3-1 Thursday night at Story Field in Longview. The Bellingham Bells (24-20) used three runs in the first two innings to hold off the Cowlitz Black Bears (21-23) 3-1 Wednesday night at Story Field in Longview. The Bellingham Bells (23-20) were shutdown 5-0 by the Cowlitz Black Bears (21-22) Tuesday night at Story Field in Longview. The Bells offense exploded for 8 runs on Monday night, beating the Wenatchee AppleSox 8-2. The Bells were unable to muster much offense Sunday afternoon, as they fell 4-1 to the Wenatchee AppleSox. The Bells lost to the Wenatchee AppleSox by a score of 6-1 on Saturday night. The Bellingham Bells (22-17) rally came up short in the ninth inning, as the Bells left the bases loaded and fell 7-5 to the Victoria HarbourCats (29-10) at Royal Athletic Park Friday night. The Bellingham Bells (22-16) entered the eighth inning being no hit and trailing 3-0 to the Victoria HarbourCats (28-10). A Teammate's Perspective: Former Baby M Jeff Hooper Talks about Playing with Ken Griffey, Jr.
As Ken Griffey Jr. enters Cooperstown this weekend, we take a look back at where it all began: right here in Bellingham during the summer of 1987. Shane Hanon changed the scoreboard for good in the fifth inning. The Bells won a pitcher’s duel on Sunday afternoon, beating the Walla Walla Sweets by a score of 2-0. The Bells rode a big first inning to a 6-3 victor over the Walla Walla Sweets Saturday night. The Bells fell to the Walla Walla Sweets on Friday night, losing 6-3. Offense was the struggle for the Bellingham Bells in the first two games of their series against Yakima Valley, scoring just three runs combined. The Bellingham Bells (17-15) fell to the Yakima Valley Pippins (21-14) 4-1 Wednesday night at Yakima County Stadium. The Bellingham Bells (17-14) fell to the Yakima Valley Pippins (20-14) 6-2 Tuesday night at Yakima County Stadium. The Bellingham Bells (17-13) knocked off the Kitsap Bluejackets (10-23) 4-1 Monday night at the Kitsap County Fairgrounds. Six players will represent the Bellingham Bells at the 2016 West Coast League All-Star Game, the league announced today. The Bells bats came alive for 13 hits on Saturday night, as they pounded the Kitsap BlueJackets by a score of 8-3. The Bells fell to the Kitsap BlueJackets Friday night, losing 11-3. The Bells beat the Kitsap BlueJackets 5-3 on a soggy Thursday night in Bellingham. The BlueJackets opened the scoring in the 3rd inning. A leadoff walk and a single gave Kitsap two baserunners to start the inning and a wild pitch allowed both runners to move up. Bryce Steckler then hit a sac fly to center to give Kitsap the lead at 1-0. The Bells struck back for a run to tie to the game in the 5th. With two outs Gunnar Schubert reached on a single and Matt DiLeo was hit by a pitch to give the Bells runners on 1st and 2nd. Landon Riker then stepped up and lined a single to left that scored Schubert, but DiLeo was thrown out attempting to advance to third on the play. The BlueJackets retook the lead in the 5th. Chris Caffrey got things started with a single to right and was put out on Benny Kaleiwahea’s fielder’s choice, giving Kitsap a runner on first with one out. After a groundout to short moved Kaleiwahea to second Jack Stronach lined a ground rule double down the right field line to score Kaleiwahea and give Kitsap the 2-1 lead. The Bells came back to take the lead in the 6th. David Banuelos got things started with a line drive single that hit off of the pitcher, and he would advance to third on the pitcher’s errant throw as well. After a walk to Danny Casals, Gunnar Schubert stepped up and roped a single to center to score Banuelos from third. Casals moved to third on the Schubert single and that allowed Matt DiLeo to score him with a sacrifice fly to center, and the game moved to the seventh with the Bells leading 3-2. The Bells extended their lead in the 7th with two more runs. Andru Cardenas led things off with a single and after Shane Hanon walked there were runners on 1st and 2nd. After a double steal, an error from the pitcher allowed Cardenas to score, and every one to advance. Jake Vieth then lifted a sac fly to center to score Hanon and the Bells led 5-2. Kitsap struck back for one run in the top of the eigth. A lead off double and an error that allowed the runner to advance to third led to an RBI ground out and the score would stay at 5-3 Bells for the rest of the contest. Henry Stellwagen picked up the win in relief for the Bells, and Jared Horn and Sam Hellinger picked up the hold and save on the night, respectively. The Bells take the field again tomorrow Friday July 8th for their second game of the three game series against the Kitsap BlueJackets at 7:05. Pre-game coverage starts at 6:35 on 930 AM KBAI with Tom Prizeman. To purchase tickets visit http://bellinghambells.com/home/ or call (367) 527-1035. The Bells bats came alive on Independence Day, blasting the Black Bears 7-1. Three was the magic number for the Bellingham Bells (12-11) Saturday night at the Kitsap County Fairgrounds. The Bells struck late for 3 runs in the 6th and 5 in the 7th to beat the NWCBL All Stars 10-3 on Friday night. Behind a strikeout filled performance from starting pitcher Joey Matulovich, the Bells were able to take the series finale from the Corvallis Knights on Wednesday evening. The Corvallis Knights were walk off winners Tuesday at Goss Stadium, defeating the Bellingham Bells 3-2. Ian Shenton has made the short trip to Joe Martin Field many times over the years to watch his beloved Bellingham Bells play. The Bellingham Bells fell to the Corvallis Knights 10-5 Monday at Goss Stadium. The Bend Elks defeated the Bellingham Bells 8-2 Sunday at Vince Genna Stadium. The Bend Elks defeated the Bellingham Bells 11-4 Saturday at Vince Genna Stadium. The Bellingham Bells outdueled the Bend Elks for a 1-0 victory at Vince Genna Stadium. The Bells bounced back for the series win Thursday night taking down the Pippins 4-2. The Bellingham Bells fell to the Kitsap Bluejackets 7-3 at Gene Lobe Field Monday. The Bellingham Bells pitching staff allowed only two runs on the evening, but the Bells fell 2-1 in the series finale against the Walla Walla Sweets. The Bellingham Bells (7-4) rolled to their eighth straight victory, defeating the Walla Walla Sweets (6-8) 8-1. The Bellingham Bells have had a flair for the dramatic so far in the 2016 season. 2011 Bell Adrian Sampson has been called up to the big leagues and is set to join the Seattle Mariners on Saturday, June 16. The Bells prevailed 3-1 over the Everett Merchants in their non-league tilt Tuesday night. The Bellingham Bells are excited to announce they have partnered with Aegis Living to present a special commemorative jersey to be worn on four Sunday games during the 2016 Bells season. The Bells fell 2-0 in the second game of their series against the Corvallis Knights on Wednesday. The Kelowna Falcons scored two runs in the bottom half of the ninth to defeat the Bellingham Bells 9-8 at Elks Stadium. The Bellingham Bells fell to the Kelowna Falcons 5-4 at Elks Stadium in Kelowna. It was the hometown kid that shut the door for the Bellingham Bells on Opening Night. The Bellingham Bells have partnered with Barclay’s Realty to present the Raul Ibanez bobblehead giveaway on Saturday, July 23rd. The Bellingham Bells have added multiple ten-day players to the 2016 roster. Outfielder Elijah Skipps and infielder Jake Vieth will join the Bellingham Bells in 2016. 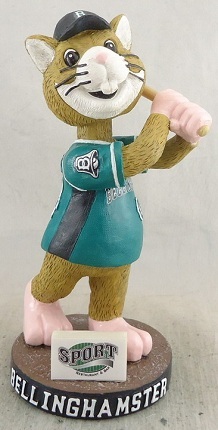 The Bellingham Bells have partnered with Sport Restaurant & Bar to present a bobblehead giveaway on Friday, July 1st. The Bellingham Bells have added 6-foot-9-inch right-hander Tyler Palm of Oakland University. The Bellingham Bells are excited to announce they will present three fireworks shows during the 2016 season. The Bellingham Bells are excited to announce the addition of a new promotion for the 2016 season. Walker Olis, a member of the Bellingham Bells during the summers of 2013, 2014 and 2015, has been named the 2016 Northwest Conference Player of the Year, the conference announced yesterday. The Bellingham Bells are excited to announce the return of several popular promotions for the 2016 season. The Bellingham Bells have added six-foot-two-inch right-handed pitcher Chandler Arends of Edmonds Community College. The Bellingham Bells have added outfielder Brock Anderson to the roster. The Bellingham Bells have added third baseman Chris Maranto of Butler University. The redshirt junior is a native of Hawthorn Woods, Ill. Single game tickets for the 2016 Bellingham Bells season are officially on sale, the team announced today. 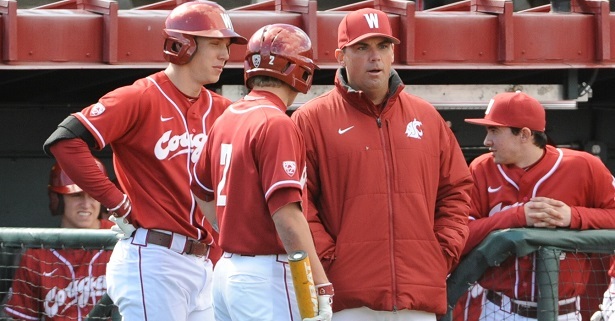 Donnie Marbut, former head baseball coach at Washington State University, assumes duties today as President of the West Coast League, the premier summer collegiate baseball league West of the Mississippi. The Bellingham Bells have added another University of Washington Husky to the roster. The Bellingham Bells have added local baseball standout Austin Shenton to the 2016 roster. The Bellingham Bells are currently accepting host family applications for the 2016 season. The Bellingham Bells have added outfielder Brandon Shirley of UC San Diego and pitcher Connor Williams of Brigham Young University. Oakland University’s Matt DiLeo, a native of Rockford, Mich., will join the Bells in 2016. The Bellingham Bells have added a catcher from Long Beach State to the roster. Right-hander Jon Olsen and shortstop Chase Strumpf will join the Bellingham Bells in 2016. A couple of California Golden Bears will head north for the summer as the Bells will add two from their pitching staff. The Bellingham Bells have announced the addition of two pitchers from Arizona State University. Two Gonzaga Bulldogs will make their way to Bellingham this summer. The Bells have announced a special "Date Night at the Diamond" package, available until February 13th, 2016. The Bells have added two players from Chico State University; infielder Andru Cardenas and outfielder Sonny Cortez. Spencer Howard of Cal Poly will return to the Bells for the 2016 season. The Bells have locked in three players from the University of Maine as pitchers Jeff Gelinas and Connor Johnson and middle infielder Danny Casals join the 2016 squad. Bronson Larsen from Brigham Young University will return to the Bells for the 2016 season. Pitchers Kyle Rossman from Pacific Lutheran University and Hunter Haworth from Chico State will look to help lead the Bells to another division title. The Bellingham Bells are excited to announce Tom Prizeman will be the voice of the Bells for the 2016 season. The Bells are excited to announce the return of pitchers Brian Way and Riley Storedahl to the 2016 pitching staff. The Bellingham Bells announced today that they have promoted two key front office staff members to expanded roles for the 2016 season.